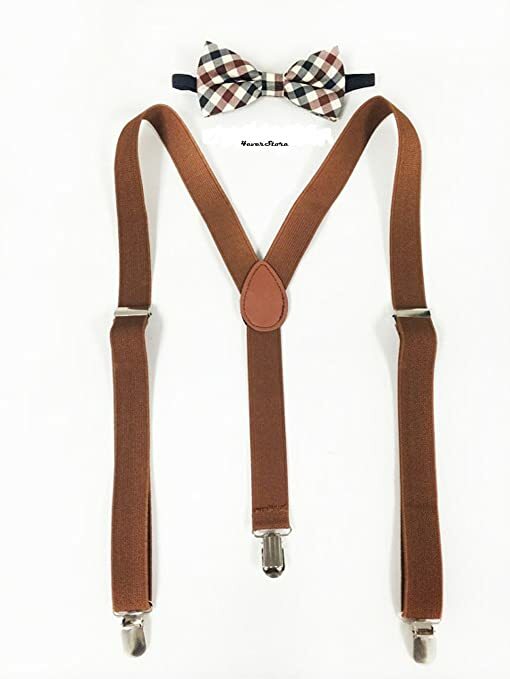 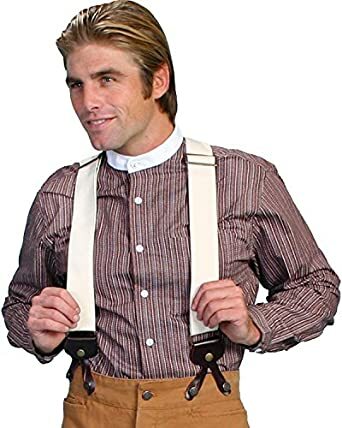 Nothing says men’s vintage fashion like a snazzy pair of suspenders, also called braces. 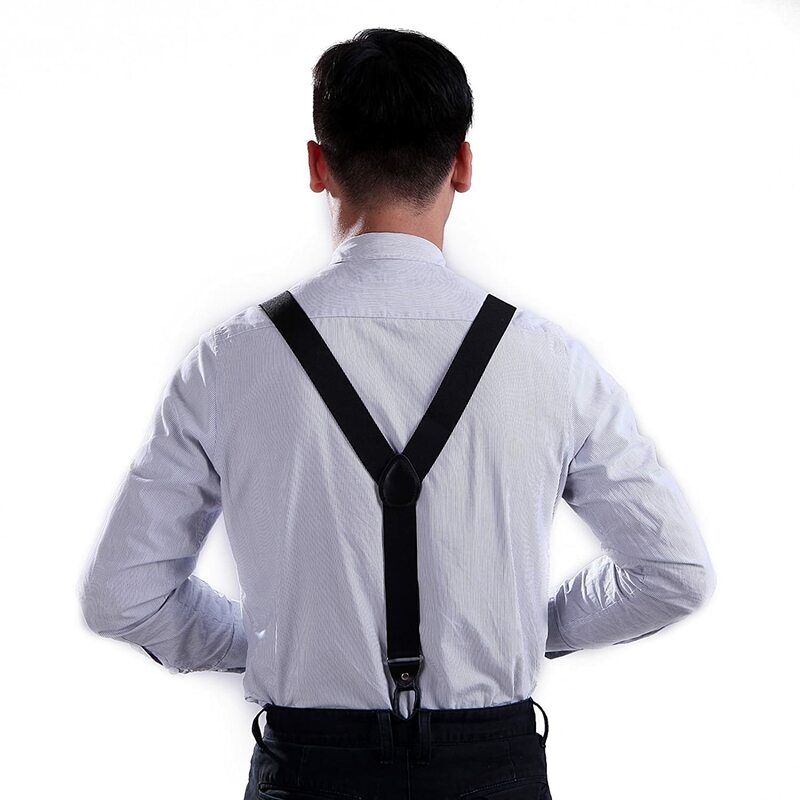 Leather suspenders have been used to hold up men’s pants for over a century before the belt took over fashion. 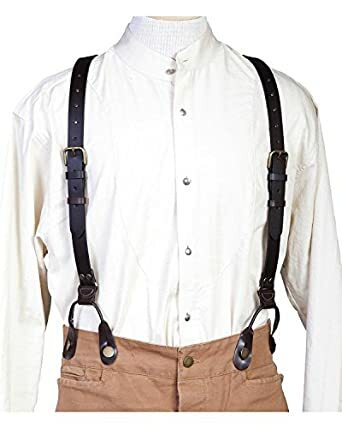 In the 1920s, 1930s and 1940s suspenders were button on, mostly made of leather or a strong cotton wedding for work attire. 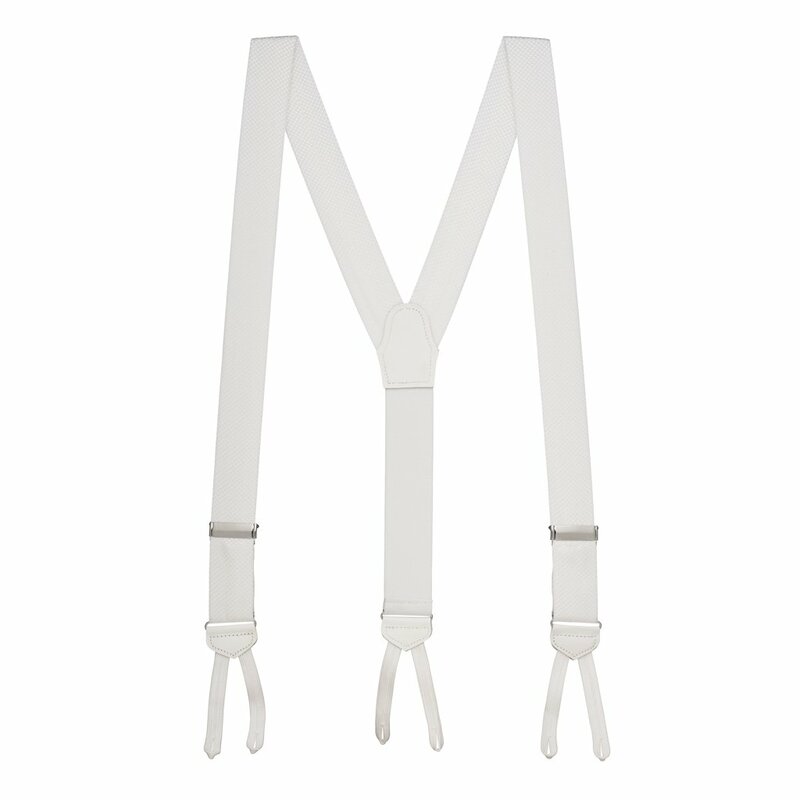 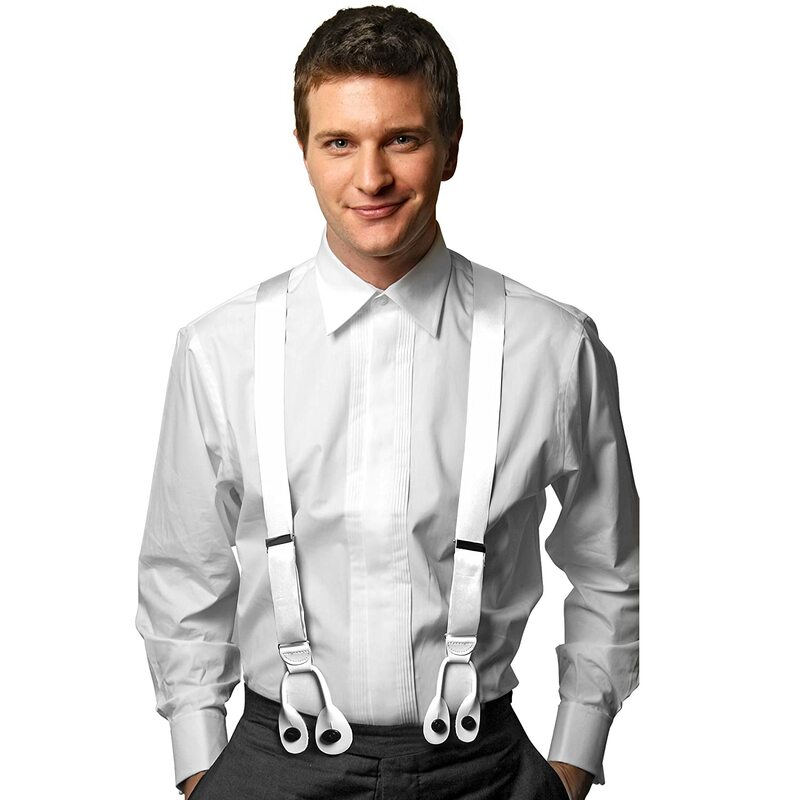 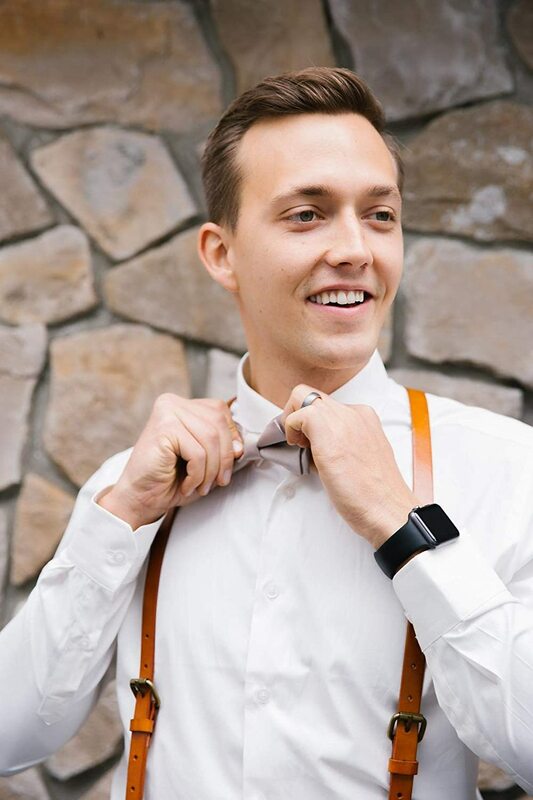 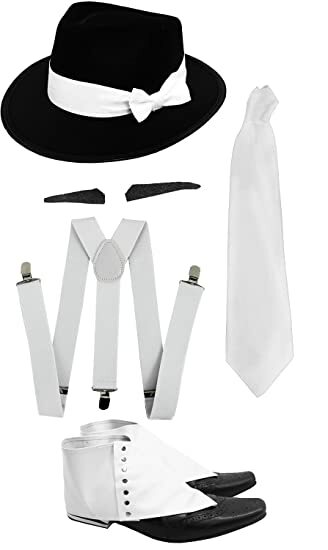 Formal wear requires white silk suspenders. 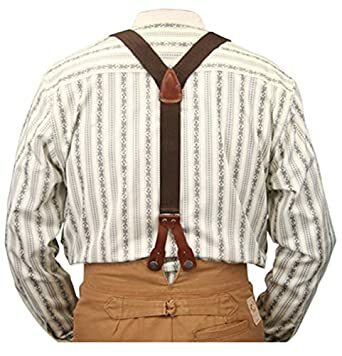 In the late 1930s to 1940s wide stripes, big checks, and novelty designs emerged. 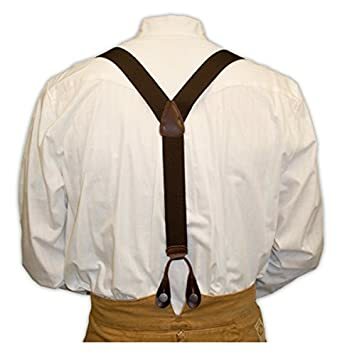 Both X and Y cross back designs were common in the mid-century. 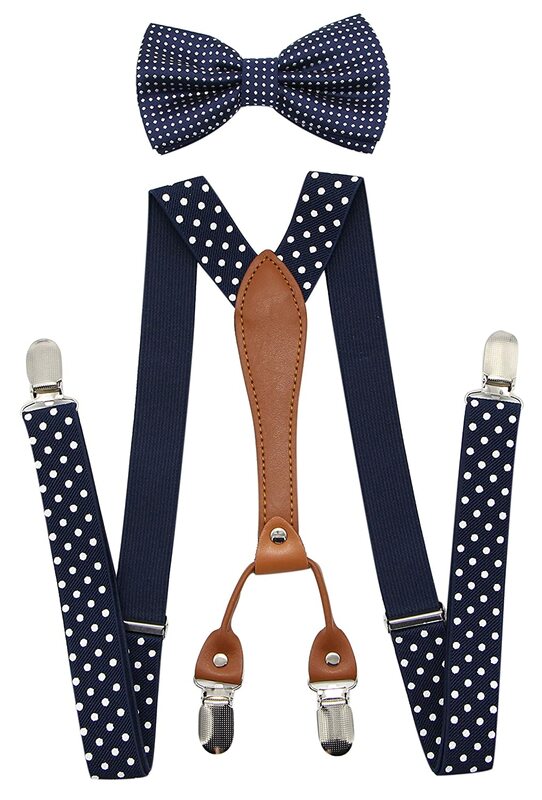 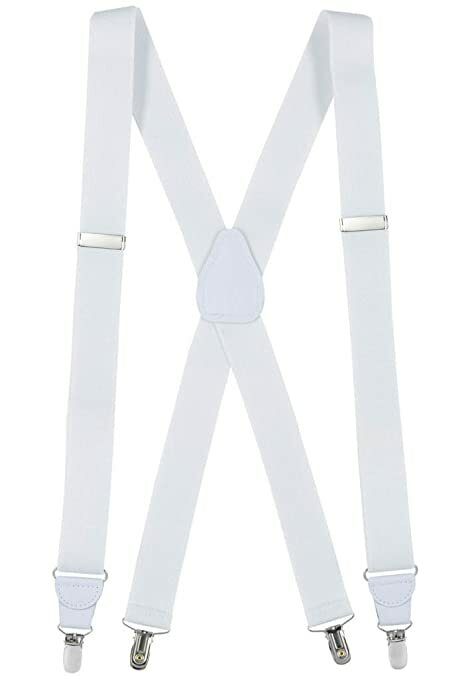 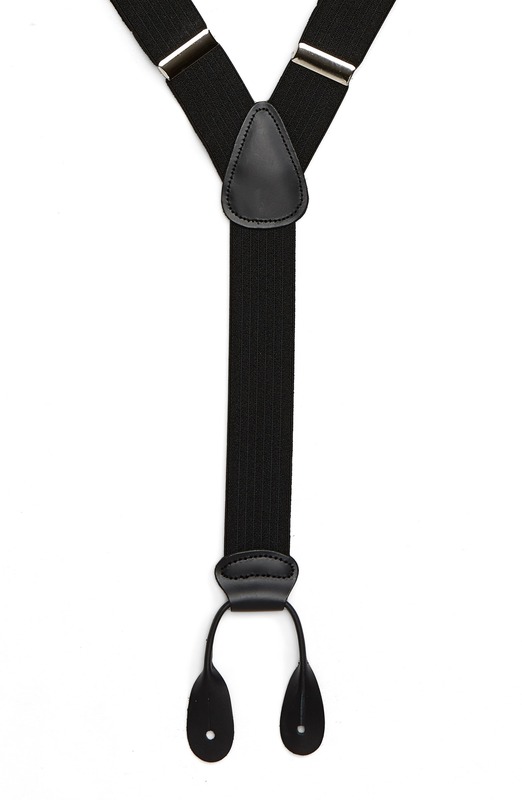 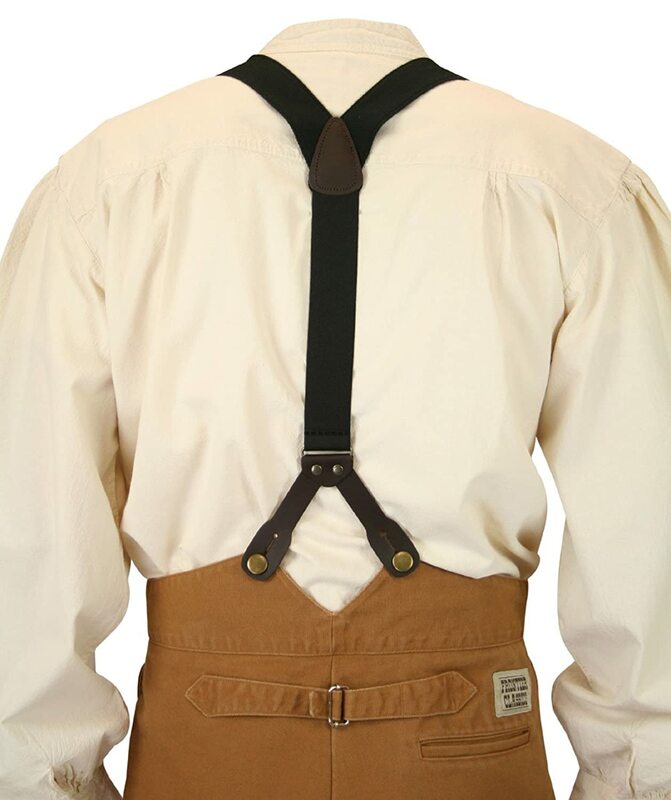 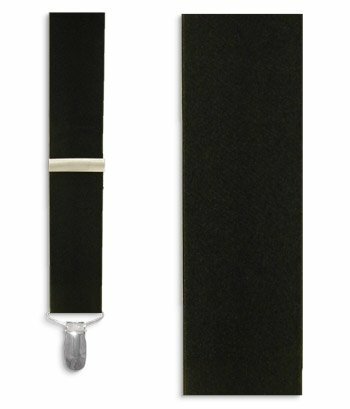 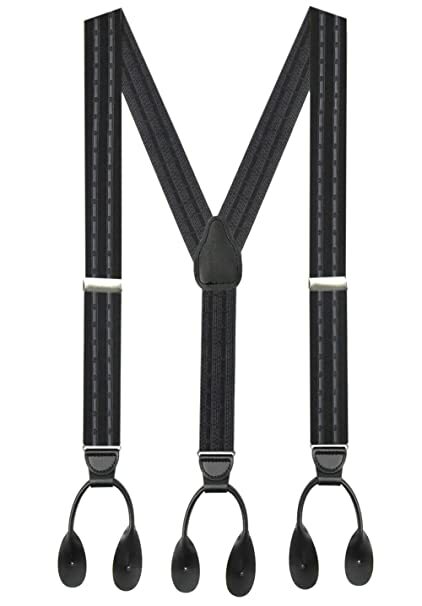 Clip-on suspenders came into fashion starting in the 1940s. 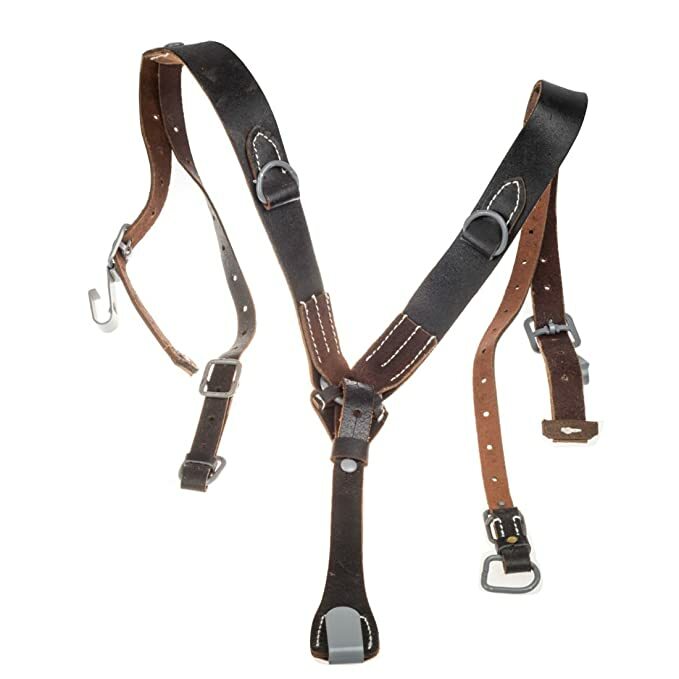 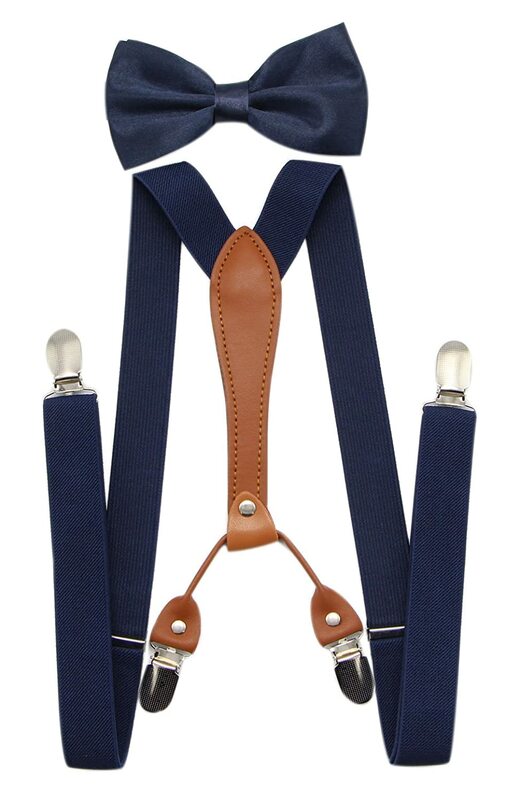 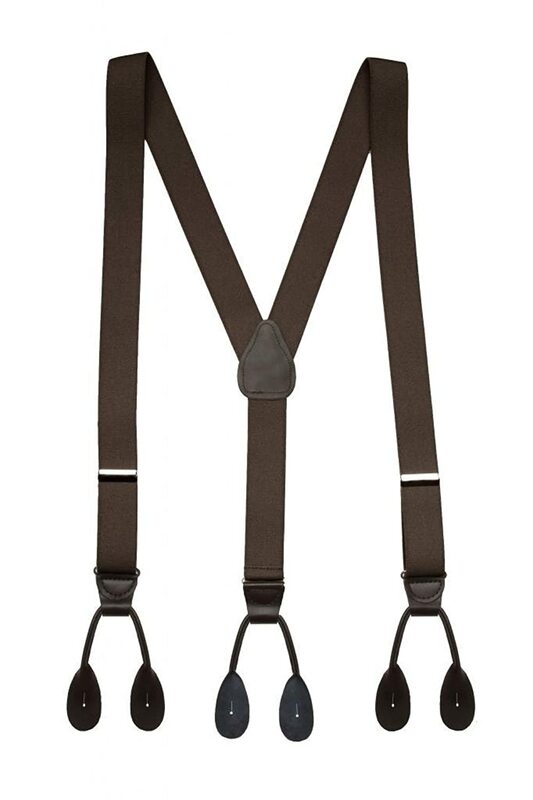 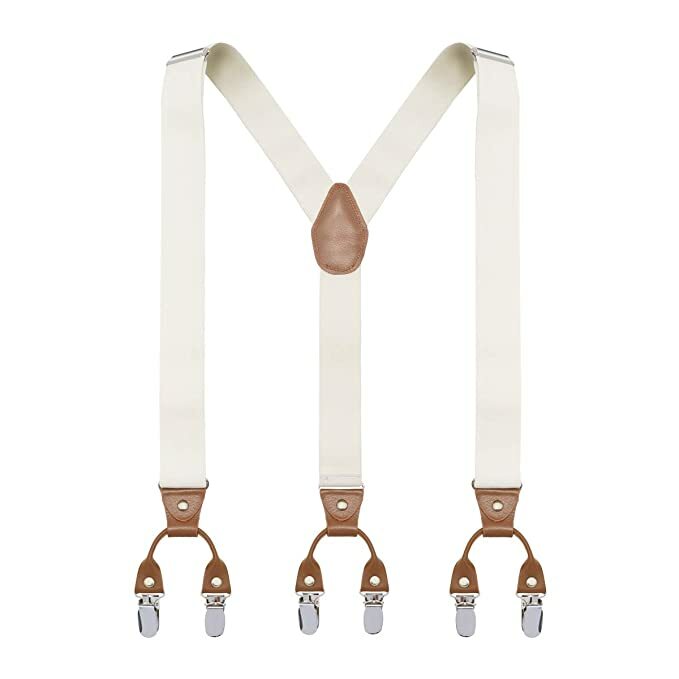 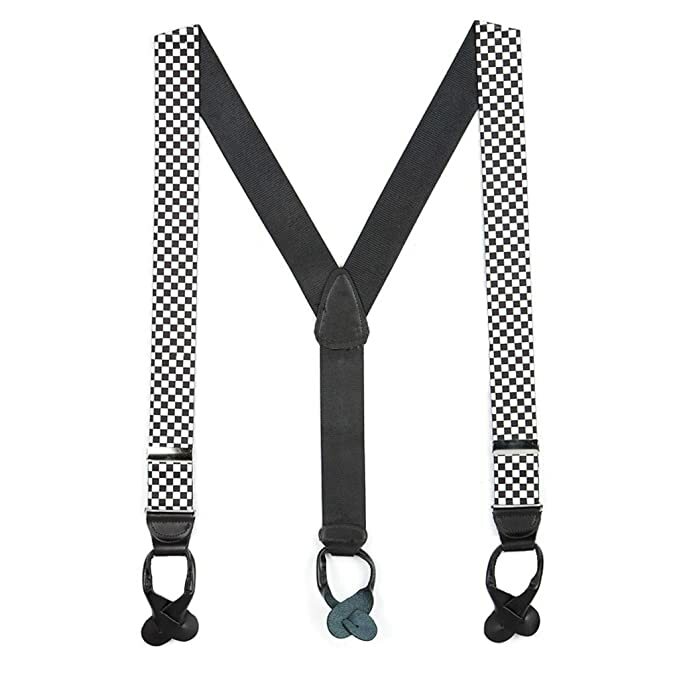 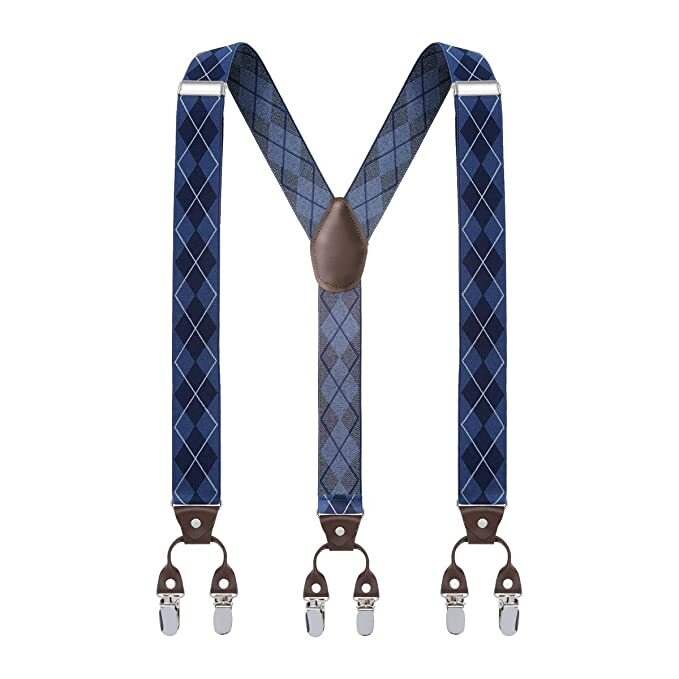 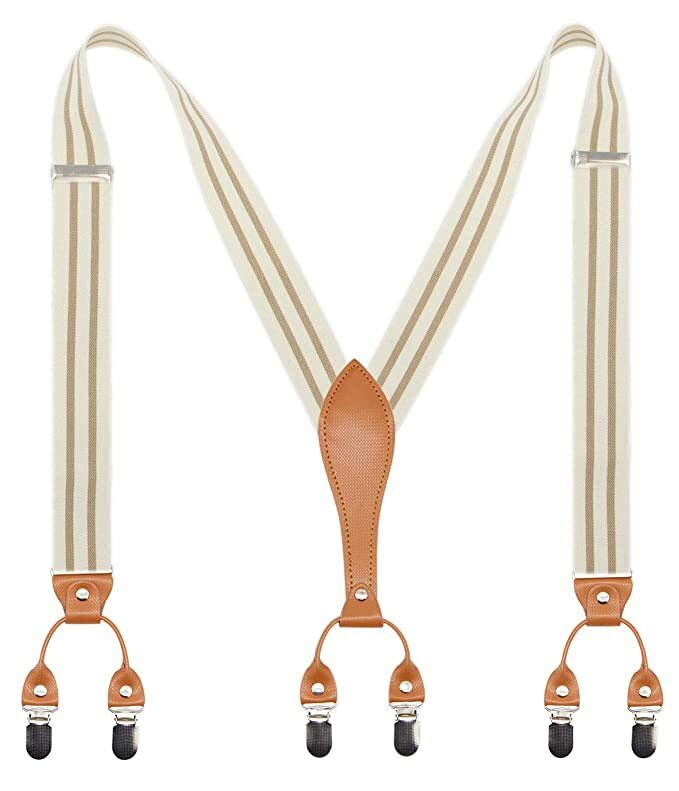 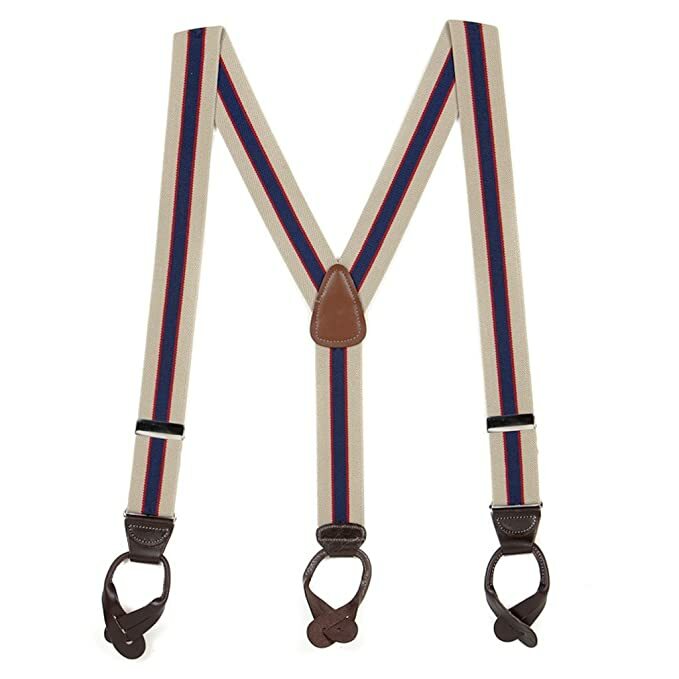 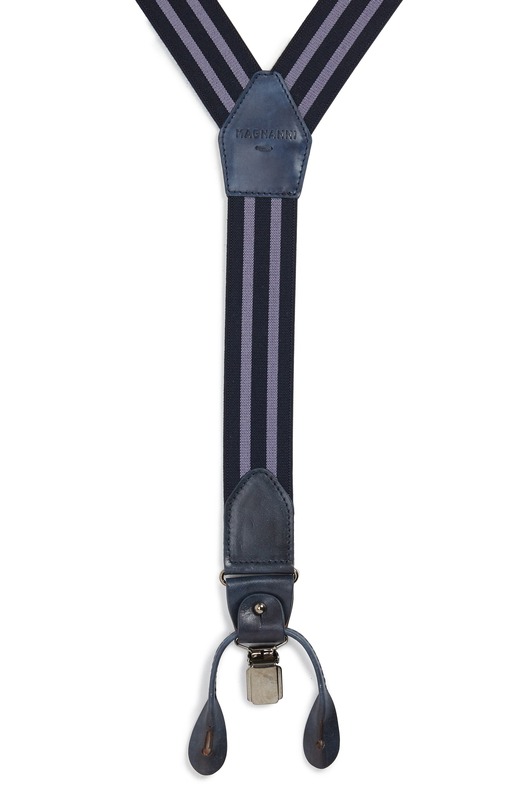 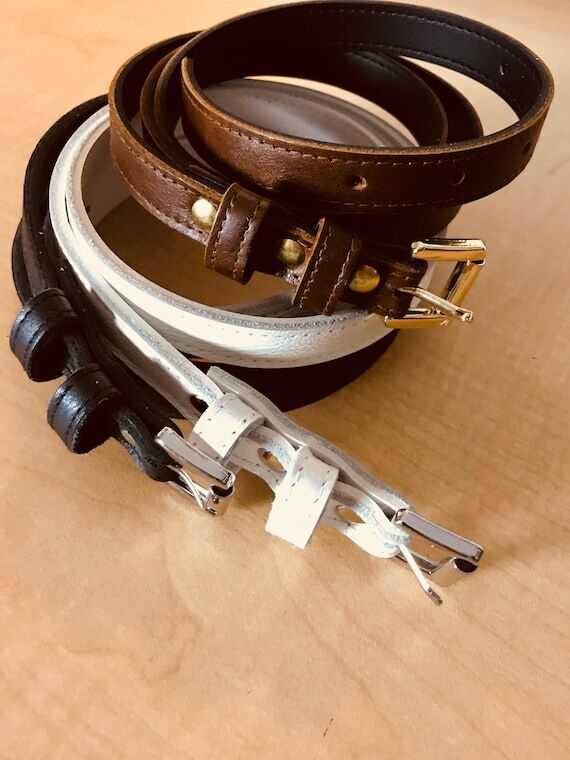 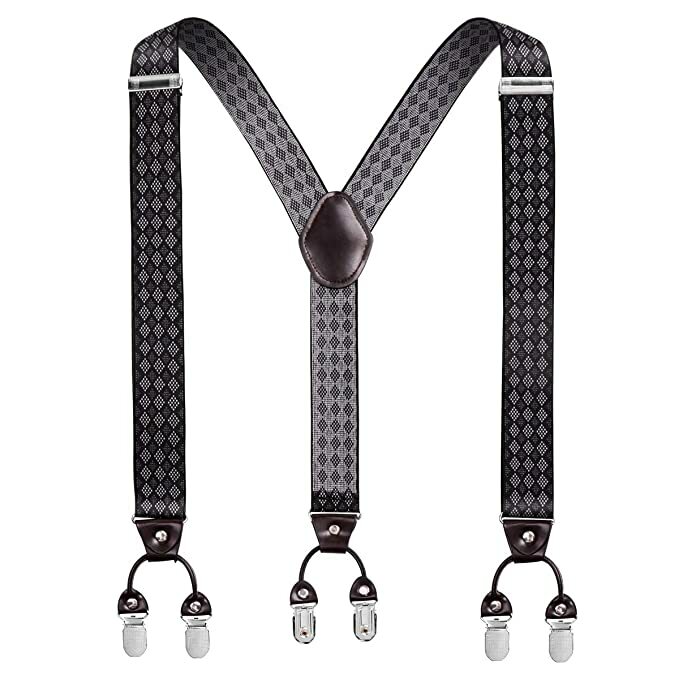 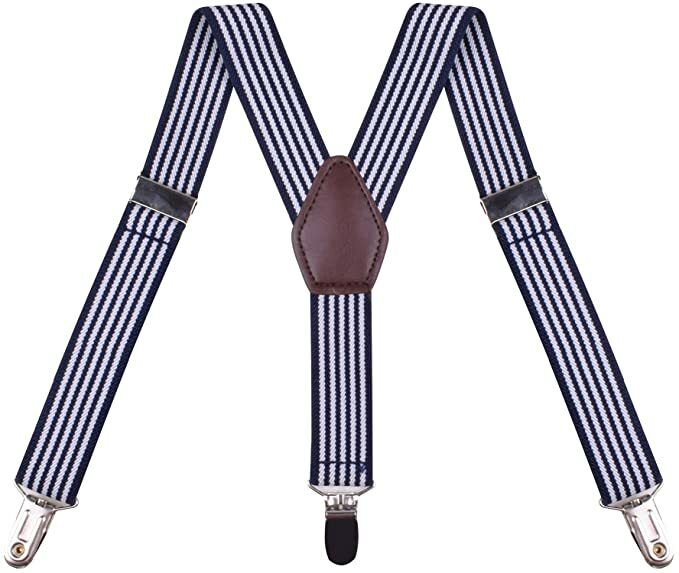 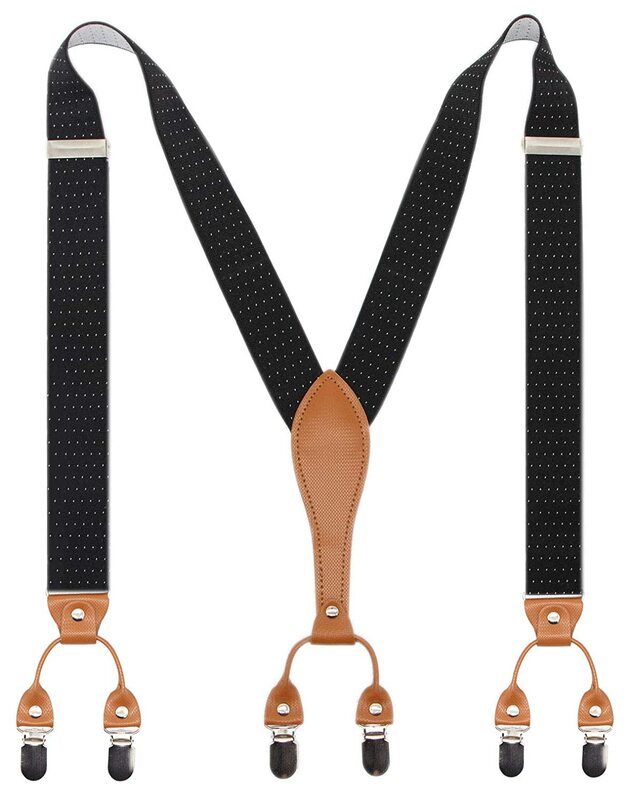 Shop men’s new vintage style suspender in leather and fabric and with button on or clasp designers. 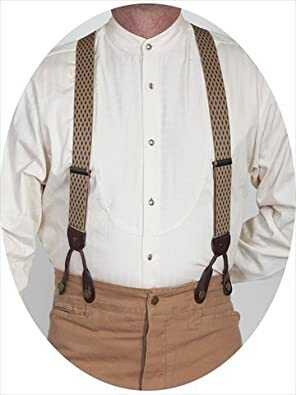 Scroll down for pictures of vintage men’s suspenders.